Do Essential Oils Actually Heal the Body? When I mention the term Aromatherapy or essential oils as a healing modality, immediately, one calls to mind lovely smells that may put you in a better mood, but are not strong enough to do much else. One of the reasons for this attitude is the lack of education in this country about true therapeutic grade essential oils. Essential oils are graded by quality. The lowest grade is used in perfumes, a higher grade is used in foodstuffs, and the highest grade is therapeutic grade. We are most familiar with the perfume grade which smells nice, but has no therapeutic benefit. Unfortunately, most of the “essential oils” in stores today, although they may be useful as perfume or for aroma purposes, have little or no therapeutic value. They are commonly adulterated with solvents such as propylene glycol, acetate or alcohol. Some imported oils have even been found to contain radioactive isotopes. These adulterants are not healing, and many are actually quite harmful! True therapeutic grade essential oils are of a much higher quality and do not contain any adulterants whatsoever. Because of this, they also cost more. Therefore, compared to the cheaper, adulterated oil, the profits to be gained from selling higher quality oils is much smaller. When I suggest taking eucalyptus oil, and you go to the health food store and buy a cheap version that is not certified, you find out that you get what you paid for. You thought you had saved yourself some money, when in actuality, you did yourself a huge disservice. You find that it has no effect other than smelling like eucalyptus and perhaps having a slight calming effect. Then you're still sick and I look like a fool. You lose faith in natural remedies and that one bad remedy makes the entire industry look bad. 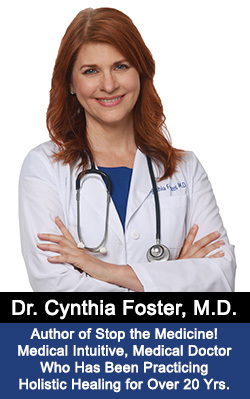 You then wrongly think that natural remedies don't work, and you start going to the medical doctor again - because the synthetic medications are at least having an effect. In the case of pure lavender oil, it is the linalyl acetate component that helps to heal the burns. If the lavender oil doesn’t contain a high per cent of natural linalyl acetate – at least 50% - it will actually burn the skin instead of healing it. In order for the proper healing components to be present, the oil must be pure and processed in the proper way. The plants must be grown in the absence of herbicides and pesticides which can react with the essential oils during distillation to produce toxic compounds. Each oil is unique. In other countries such as Germany, France, and Great Britain, aromatherapy is considered a serious medical science. Aromatherapy is available in the hospitals - and in some countries, essential oils are even taken internally. Many are used for treating serious diseases. There have been countless European (as well as some American) research studies which prove the effectiveness of therapeutic grade essential oils. Most show them to be highly antibacterial, antiviral, antiparasitic, and antifungal. Considering the high rate of antibiotic resistance in this country, they are a welcome addition to the medicine cabinet of the average person who wishes to avoid taking antibiotics and other dangerous antimicrobials. Essential oils are the subtle, aromatic and volatile liquids extracted from the flowers, seeds, leaves, stems, bark and roots of herbs, bushes, shrubs, and trees, through distillation. Pure essential oils are highly concentrated. It takes 5,000 pounds of rose petals to yield 1 pound of rose essential oil. Consequently, only small amounts are needed to have an effect. One to two drops go a long way. The effects of an essential oil can last anywhere from a few hours to a couple of weeks, depending on how long a person can hold that higher frequency. In my experience, I have found the average length of time is around two days. Pure essential oils are highly penetrating: The penetrating characteristic of essential oils greatly enhances their ability to be effective. When applied to the skin, essential oils are absorbed directly into the body. An essential oil placed on the foot will be distributed to every cell in the body in 21 minutes. Inhaled, they will travel throughout the body in twenty seconds. They will even penetrate a fingernail or toenail to treat fungus underneath (lemongrass, melaleuca), and can penetrate into the deep crevices of gum tissue, in many cases, eliminating gingivitis and even severe gum diseases. The more toxic a person is, the more his cell membranes have thickened as a protective mechanism against the damaging effects of the toxins in his body. Essential oils have the ability to penetrate even thickened cell membranes, which explains why many times, they are effective when herbs alone are not. Pure essential oils have been proven to increase oxygen to the body at a rate of 21%. Herbs and vitamins give us only about a 6 -7 % increase in oxygen, while mineral compounds and hydrogen peroxide provide a 9% increase. Many diseases cannot tolerate the presence of oxygen. Many bacteria are anaerobic, meaning that they can only survive in the absence of oxygen. These bacteria thrive in puncture wounds and in diabetics, and others whose oxygen levels are very low due to poor blood circulation and other factors. Cancer thrives in the absence of oxygen. When many kinds of microbes and cancer cells are exposed to oxygen, they die. Oxygen is a very powerful antioxidant. Pure essential oils are antiviral, antibacterial, antifungal, anti-yeast, and many have anti-parasitic and anti-tumoral actions. There are documented scientific studies of antiviral and antibacterial effects of pure essential oils performed by research scientists around the world. The latest results show some to be even more powerful than antibiotics. Some stimulate digestion, while other act as anti inflammatories. Some help to regenerate damaged tissue, and others have a muscle relaxant effect. Some can be used as hormonal precursors by the body so that it can produce as much or as little hormones as it needs without upsetting the natural hormonal balancing systems in the body. Finally, essential oils have an alkalizing effect on the body and are extremely high in antioxidants. Scientists at Tufts University have developed a scale for the U.S. Department of Agriculture called the ORAC test (Oxygen Radical Absorption Capacity). 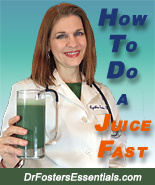 The ORAC test determines how capable a particular food is in destroying free radicals. The essential oil of clove tested far higher than any food, making it an extremely potent antioxidant. This strong antioxidant effect may explain why many distributors have noticed a definite tumor-dissolving effect when using therapeutic grade clove oil. Each component in a medication, whether an oil or a drug, creates a different spinning pattern in the blood. They cause a frequency change in the body’s electromagnetic field (the chakras which are the 7 major spinning wheels of energy in the body). The chakras are controlled by the limbic system in the brain. 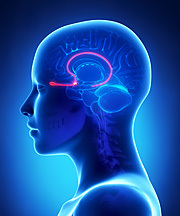 The limbic system is responsible for the emotions. It consists of the amygdala, the hypothalamus, thalamus, and pineal gland. The pineal gland is sometimes also referred to as the "third eye." In 1989 at New York Medical Center, Dr. Joseph Ledoux discovered the amygdala plays a major role in storing and releasing emotional trauma, and only odor or fragrance stimulation has a profound effect in triggering a response through this gland. “A healthy body, from head to foot, typically has a frequency ranging from 62 Hz to 78 Hz, while disease begins at 58 Hz.” Essential oil blends typically have a frequency of 47 Hz To 192 Hz, although some of the single oils, such as rose oil, carry a frequency of 320 Hz. Disease starts at below 60 Hz. Frequency is the measurable rate of oscillation of electrical energy flow that is constant between 2 points (the number of waves, oscillations, or cycles per unit of time). Everything has frequency, including everything we see and everything we hear – colors, sounds, etc. Scientists measure the wavelength of light in Angstroms. According to Royal R. Rife, inventor of the famous RIFE machine which is reputed to have healed cancer, every disease has a frequency. He found that certain frequencies can prevent the development of disease and that others would destroy disease. Substances with higher frequencies destroy diseases of a lower frequency. Bruce Tainio has developed a device to measure the Hertzian frequency of essential oils. (From Tainio Technology, an affiliate of Eastern State University, in Cheny, Washington, who built the first bio-frequency monitor in the world in 1992.) He measured the frequency of the human body in different states of health as listed below. As you will see, the frequency of the human body drops as it becomes progressively more diseased. Therefore, a healing technique should address the problem of how to raise the frequency back to the normal levels of a healthy person. He also measured the frequencies of different substances listed below. Impure, adulterated essential oils have also been tested and found to possess very low frequencies and even zero on occasions. Conversely, the pure essential oils measure considerably higher than even the freshest of herbs. There is a potential to heal faster and more deeply with essential oils than it is to heal with the finest, strongest, purest herbs! The therapeutic grade essential oils with relatively lower frequencies have more of a “physical” healing effect.The oils with the middle frequencies make emotional changes in the body, and the oil carrying high frequencies make spiritual changes in the body. Keep in mind that a physical healing can be blocked by a failure to heal emotions. In these cases, essential oils become even more important in effecting an emotional healing/release. According to ancient Egyptian hieroglyphics and Chinese manuscripts, priests and physicians were using essential oils thousands of years before Christ to heal the sick. They are the oldest form of medicine and cosmetic known to man and were considered more valuable than gold. The first use of essential oils was attributed to the Egyptians and can be traced hack to 4500 BC. They soon realized that essential oils not only had therapeutic properties, but were especially useful for emotional purposes.The Ebers Papyrus, an Egyptian medical scroll dating back to 1500 B.C., contains more than 800 herbal prescriptions and remedies. Medicinal mixtures contained myrrh, oil and honey, and the scroll indicates a high success rate in treating 81 different diseases. Myrrh is still recognized for its ability to help with infection of the skin and throat, and to regenerate skin tissue. There are over 188 references to oils in the Bible. The wise men brought the Christ child gold, frankincense and myrrh. In Exodus, God gives Moses the formula for “an holy anointing oil” (Exodus 30:22-25). Some of the precious oils which have been used since antiquity for anointing and healing the sick are frankincense, myrrh, galbanum, hyssop, cassia, cinnamon, and spikenard. Frankincense:(Greek:Olibanum; Latin: Boswellia carteri or Boswellia thurifera) The oil is distilled from oleo-gum-resin of the frankincense tree. Its constituents are monoterpenes, pinene, limonene, sesquiterpines, gurjunene and terpenes alcohols.Therapeutically, it is being used in European hospitals for its anticatarrhal, antitumoral, immune-stimulating and antidepressant qualities. Frankincense gained its legendary name as a "holy anointing oil" from the ancients, because they found when it was rubbed on sick people they would get well almost immediately. Additionally, they also found that when Frankincense is burned and inhaled, it increased their spiritual awareness and made them feel more "in tune" spiritually. Modern science now shows us that frankincense has the ability to increase the oxygen around the pineal and pituitary gland, therefore stimulating the pineal gland through which we communicate spiritually. Practically speaking it has a centering effect on the emotions. It can slow respiration, thus helping your body calm and center itself. It's a wonderfully calming oil. Frankincense has a delightfully sweet and slightly spicy odor. It can act as an expectorant, soothing congestion. It is a wonderful oil to blend into facial creams or oils to reverse aging skin. The ancients used it as well for embalming. 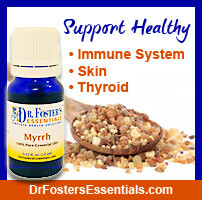 Myrrh is anti-infectious and supportive of the immune system. The Arabian people find it beneficial for skin conditions; such as athlete’s foot, chapped and cracked skin, eczema, ringworm, wounds and wrinkles. It is used to help with asthma, bronchitis, catarrh, coughs, gingivitis, mouth ulcers and sore throat. It may also help alleviate diarrhea, dyspepsia, flatulence, and hemorrhoids. It also decongests the prostate and normalizes hyperthyroid problems. It is thought the myrrh that Christ refused just before His death was intended to deaden pain. The ancients embalmed their dead with myrrh, because of its antibacterial qualities. 2,000 years ago, Frankincense and Myrrh were precious beyond the value of gold. Their healing powers were viewed then as "magical." The most precious gift one person can give another is life! The three magi offered exactly that to the Christ child, gifts of life-saving essential oils. During the great plague of the Middle Ages, essential oils were the best antiseptics available, and it was widely reported that perfumers (the forerunner of the modern distiller) were virtually immune to the Plague. By the turn of the eighteenth century, essential oils were being comprehensively applied in medicine, and in the nineteenth century, as the antiseptic properties of many essential oils were being fully investigated, the perfume industry was seeing incredible growth, especially in France. Up until the last century, medical practitioners still carried a little bag filled with aromatics on top of their walking sticks, to be inhaled when visiting contagious cases. It was the European chemist Dr. Gattefosse who coined the term “Aromatherapy” and reopened its study in 1920 after discovering the healing properties of lavender oil. While working in his laboratory, he had an accident that resulted in a third degree thermal burn of his hand and forearm. Intending to cool the burn, he saw that his colleague had just brought in a container from the cooler. Thinking the container was filled with water, he immediately plunged his arm into what was really a vat of lavender oil. To his surprise, the burning sensation slowly decreased and then stopped within a few moments. Over a period of time, with the continual application of lavender oil, the burn healed completely without a trace of a scar. As a chemist, he analyzed the essential oil of lavender and discovered that it contained many substances referred to as chemical constituents or chemical properties. This rediscovery of essential oils led to a greater awareness of the potential of essential oils during and after World War II, and aromatherapy began to be taught in medical schools throughout France, Germany and England. 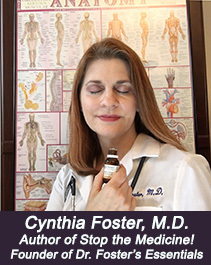 More and more European doctors started practicing with essential oils again, after having seen the devastating effects of antibiotics and other synthetic medicines. In Germany, basic knowledge of the distilling process of essential oils, and the proper blending of different oils is an absolute must in the curriculum of every pharmacist. "To Perservere, Trusting In What Hope He Has, Is Courage.